It really does exist! 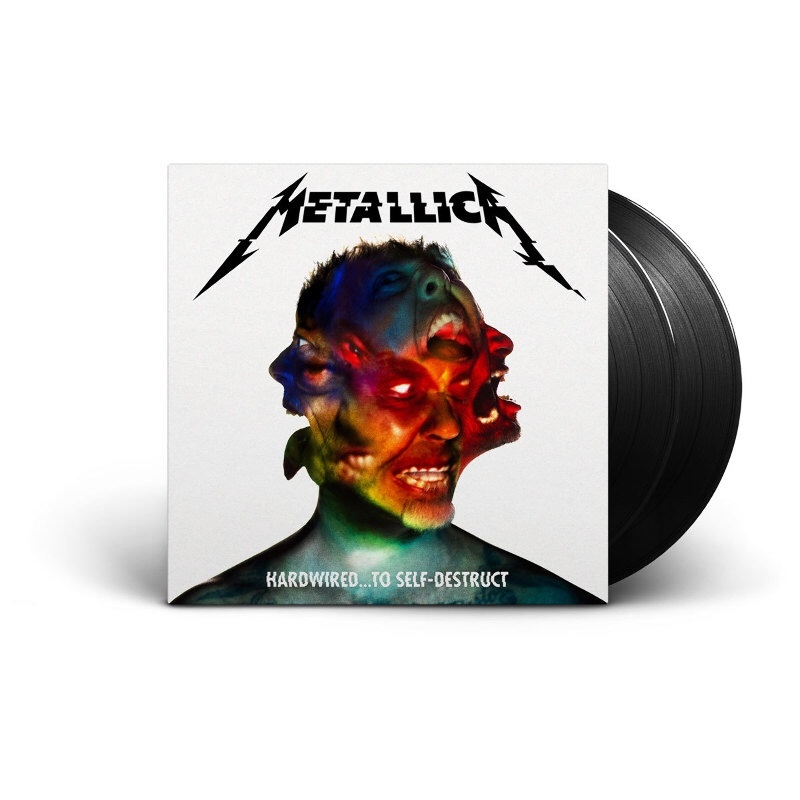 We know it’s been a long time coming, but on Thursday afternoon we proudly introduced you to Hardwired…To Self-Destruct, the long awaited next Metallica studio album that is the follow-up to Death Magnetic! Two discs, nearly 80 minutes of music is coming your way on November 18, 2016... yes, THIS YEAR! With the help of Lars and Minneapolis’ 93X, the album’s first track, “Hardwired,” hit the airwaves! Not only is the brand new track out there, but you can also check out the video for “Hardwired” on Metallica.com. We are so excited to share this next chapter with all of you…keep an eye out for more information as we approach the long awaited release date! Har hørt Hardwired mindst 15 gange siden i aftes. Jeg er PUMPED! Ja jeg har som altid bestilt de største set jeg kunne komme til - Deluxe Vinyl Box Set og CD Deluxe Box Set. Angående den nye single - så mener jeg faktisk det lyder som 'That was just your life' fra Death Magnetic, men hold kæft, hvor er det fedt at James bander igen - hele den her 'Metallica Family' ting er virkelig ikke mig - I er et heavy / thrash band - ikke en stor familiefest - i hvert fald ikke i min verden. Jeg synes også det er en ringe f-bombe. Anyway, nu har min indledende eufori lagt sig. Efter utallige gennemlytninger, så er min konklusion at Hardwired er en My Apocalypse-klon. De er næsten 100% identiske. Sidstnævnte er bare bedre, IMO. Hardwired er et fint nummer og jeg er glad for at drengene ENDELIG kommer med noget nyt. Mon ikke de kommer til Horsens igen? En anden ting, hvorfor 2 skiver, når der uden problemer kan være 80 minutter på én skive? Markante ændringer i Deluxe-udgivelsen. Demoerne er ikke længere med. Ind er kommet nogle covers og live performances. The 2016 version of “Lords of Summer” from the studio in its full glory as originally promised is still included, but now we’ve added the “Ronnie Rising Medley,” originally only available only on the Ronnie James Dio – This Is Your Life tribute album, along with the Iron Maiden cover of “Remember Tomorrow” rounded out by Deep Purple’s “When A Blind Man Cries.” And by the way all of these tracks have been recently re-mastered for optimum 2016 sound quality. Just for fun (and because there was room!) the special set we did at Rasputin’s in Berkeley, CA on Record Store Day 2016 to celebrate the reissues of Kill ‘Em All and Ride The Lightning is here all remixed and mastered.